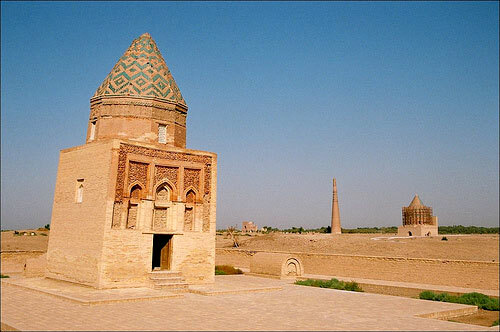 Mausoleum of Il-Arslan is connected with the name of Fakhr-ad-din Razi, a scientist who died in Herat in 1208. 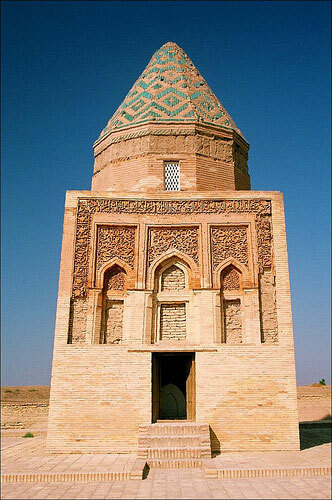 The oriental date of the construction of the mausoleum is somewhere in the 12th and 13th centuries. The mausoleum presents a small, almost square structure, crowned with a twelve-sided marquee. The eastern facade wall and door has beautiful decorative trim, made of ornamental masonry of the baked brick. A relief inscription along the upper part the outer facade interlaces with finely painted vegetable ornamentation.